Chandigarh 26 March 2019: To make people aware of all the work done by the present Modi Government BJP has been organizing public meetings under the campaign ‘Chai pe Charcha’. Under the same campaign a public meeting was organized in Sector 26 Timber Market. BJP State President Sanjay Tandon attended the meeting along with several prominent leaders of the area. Sanjay addressed the meeting and described various development schemes started by the government across the country. He said, during the tenure of Modi government, the development works have gathered speed and it is visible to every citizen of the country. He said, BJP stood solid on their slogan ‘Subka Sath, Subka Vikas’ and it shows in all they have done in last 5 years. Quipping about the several statements made by Congress President Rahul Gandhi, he said, the Rahul is playing with sentiments of poor people by making false and deceptive promises like he will be paying Rs 6000 to poor every month. Neither has he disclosed where is he going to get the money nor has he any idea if this is a feasible option. He is been making such promises to mislead the people into voting for Congress. Rahul had made similar promises in vidhan sabha elections when he said he will wave off farmer loans in first 10 days. It has been several months but no farmer loans have been waived anywhere. 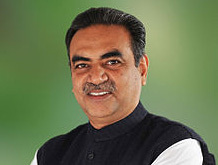 Sanjay said, Congress has always been playing vote politics with poor sections of this country without ever doing anything for them but now, the people of the country have become smart and can see through lies of the Congress party.